Favourites posts are probably my favourites to read because they make me want to buy all things. Here's what I am currently loving in the hope I have the same effect on you! Sadly limited edition but my first fave is Jo Malone Osmanthus Blossom which was re-released last year. This was the second time it was released so I am hopeful it may come back again. It's light and fresh and perfect for a hot sticky summer. It's lightly floral with peachy tones and has a very (very) subtle cashmere wood tone that adds a little depth. It's clean and crisp and I have been wearing it every day for work for weeks now. I love the mint green bottle top too! I don't often include haircare products in my favourites but I really like the Kevyn Murphy Anti Gravity Spray which was recommended to me by my hairdresser (Pollyanna at Ted Morgan in Dubai-she's amazing). It adds volume and hold to my fine hair without weighing it down or making it stiff. So many Youtubers that I watch love the Laura Mercier Translucent Setting Powder but I was sure I had used it before and not liked it but I caved to the hype and it's so good!! My skin looks matte, poreless and diffused when I use this. It's practically colourless so doesn't affect your foundation and it means I can then go in with my bronzer on top (I am big into bronzer right now) to add a bit of colour to my Casper like skin. Corner lashes are bae. Because they are so freaking easy to use compared to full strip lashes. I'm totally hooked-I bought the set above from my local supermarket-I think the brand was Kiss but I literally just plonk them on with the same ease Laura plonks on a full strip. I am still not at Buy Now Blog Later skills level. Applying false eyelashes and doing eyeliner will forever be my make up nemeses. The corner lashes you see below are from Shu Uemura and I have had them years-I highly doubt you can buy them now but the concept is the same-corner lashes rock. My final faves come from Colour Pop. I've been going out a lot more recently and am loving putting together more dramatic eye looks and the pigmentation and lasting power of Colour Pop shadows are perfect for that. Two of my absolute favourites are Amaze (the golden shade) and Partridge (the peacock green shade). 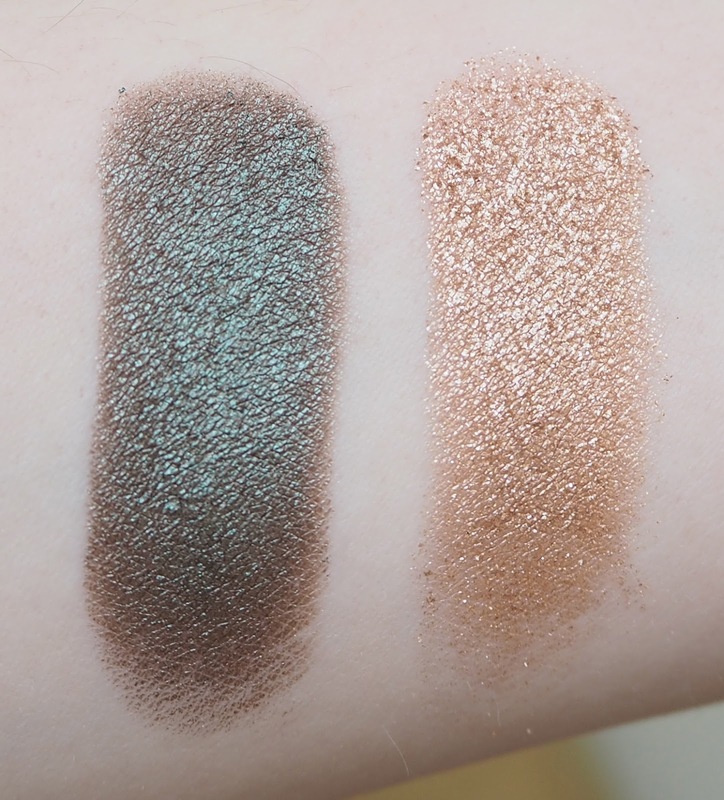 Partridge has that multifaceted green/brown/blue/red tone to it that something like MAC Club or Make Up Geek Havoc has but Partridge is more pigmented and more wet look. Colour Pop apply brilliantly with fingers, just tap the shadow directly onto your lid-they won't move or crease once on. They're shiny and shimmery and everyone will ask you what your eyeshadow is. Amazing products at an amazing price.